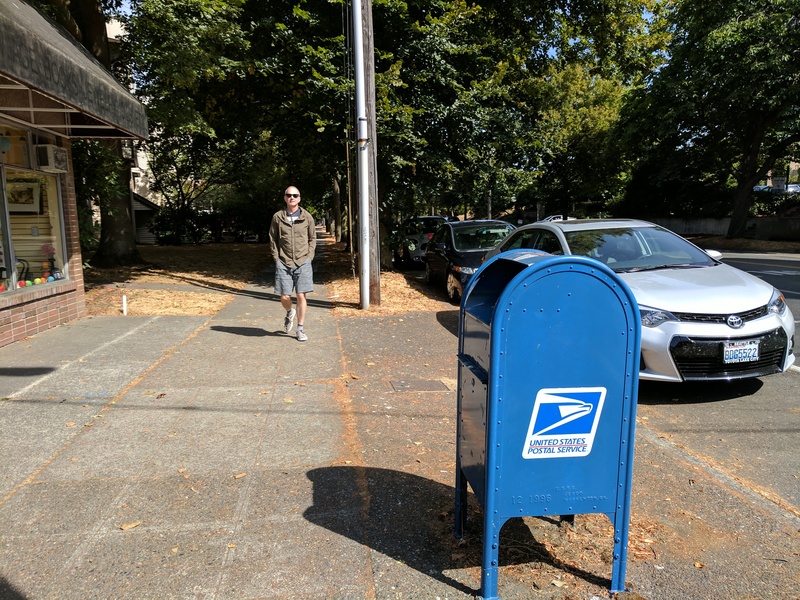 181) It doesn’t happen often, but sometimes I’m late for my appointment with a mailbox. This has never been a problem before, because if anything, mailboxes are patient animals. They can wait for hours or even days for someone to stop by and feed them a letter or small package, and never will you hear a word of complaint. That was, however, not the case with this guy. From half a block away, I could hear it flapping its little blue door, tossing out barbed witticisms like “Oh, look who decided to join us,” and “Working hard, or hardly working?” So yeah, he was being a jerk, but he wasn’t very original.